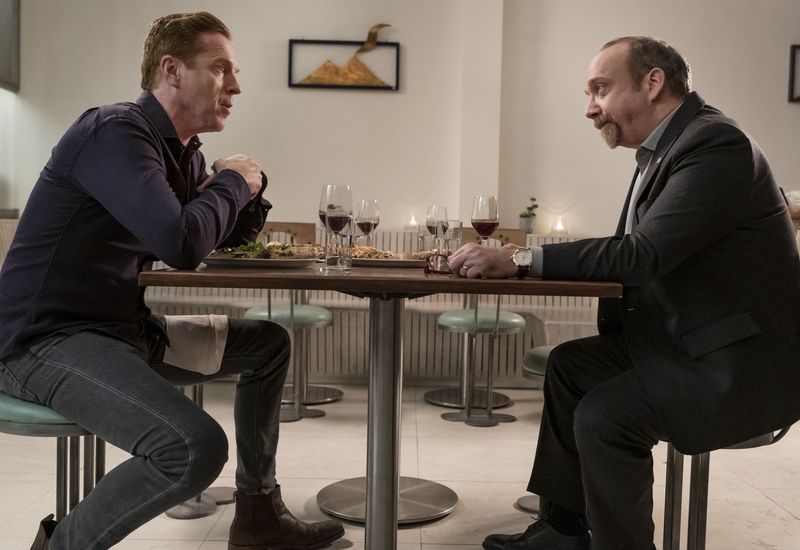 NEW YORK – January 11, 2019 – SHOWTIME has released the official trailer for the anticipated fourth season of BILLIONS, premiering on Sunday, March 17 at 9 p.m. ET/PT, and starring Oscar® nominee and Emmy® and Golden Globe® winner Paul Giamatti and Emmy and Golden Globe winner Damian Lewis. Viewers can catch up on the first three seasons of BILLIONS, available now on SHOWTIME on-air, on demand and over the internet. To watch and share the trailer for the fourth season of BILLIONS, go to: https://youtu.be/LK06SXKPQ-c. When everyone is out for revenge, no one is safe. This is never more true than in season four of BILLIONS. Bobby Axelrod (Lewis) and Chuck Rhoades (Giamatti), former enemies, and Wendy Rhoades (Maggie Siff), the chief counselor to each, have come together to form an uneasy but highly effective alliance, aimed at the eradication of all their rivals, including Grigor Andolov (guest star John Malkovich), Taylor Mason (Asia Kate Dillon), Bryan Connerty (Toby Leonard Moore) and Waylon "Jock" Jeffcoat (guest star Clancy Brown). Ambition and betrayal have long been at the heart of BILLIONS, and this season all the characters find out exactly how high a price they'll have to pay to satisfy those needs. The series also stars David Costabile, Condola Rashad, Kelly AuCoin, Jeffrey DeMunn and Malin Akerman, along with new guest stars Samantha Mathis, Kevin Pollak, Jade Eshete and Nina Arianda.